This past weekend was certainly better than the Yankees’ opening weekend. 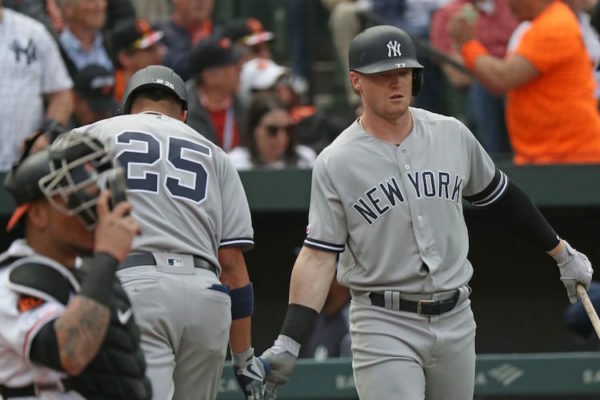 After losing two of three at home to the Orioles to begin the season, the Yankees swept the Orioles on the road to improve to 5-4 on the season. It’s not exactly the record I envisioned the Yankees having after nine games against the Orioles and Tigers, but they are above .500 though things are about to get tougher with a road trip to Houston. Chris McMonigle of WFAN and Mike’s On joined me to talk about our differences in regards to Aaron Boone’s managerial style, the scheduled off days for players in early the season, early-season overreactions from the Yankees fan base, the Yankees’ need to win the division and when to officially evaluate the season.